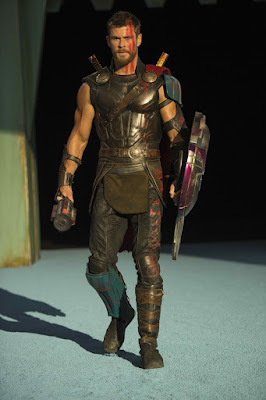 Like a champion gladiator, Marvel Studios’ Thor: Ragnarok conquered the Philippine box-office for the Oct. 25 – 29 period, raking in a thunderous P201.56-M for the No.1 spot and bragging rights as the Biggest October Opening Weekend Ever in PH history. 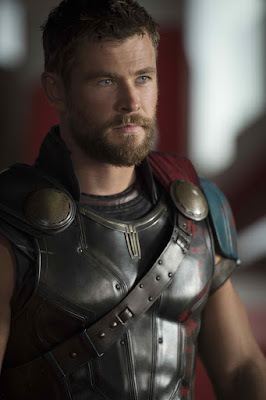 The latest Thor action-adventure also claimed the 4th Biggest Opening Weekend for 2017 (following Beauty and The Beast, Wonder Woman and Spiderman Homecoming), as well as the Biggest Opening Weekend for a solo Thor title. In comparison with recent Marvel Studios blockbusters, Ragnarok’s weekend rollout is 35% higher than that of Guardians of the Galaxy Vo. 2, 43% more successful than Doctor Strange, and outplayed Captain America: The Winter Soldier by 30%. The three highest ranking cinemas in terms of sales are SM Mall of Asia (P7.92-M), SM Megamall (P7.38-M) and SM North EDSA (P7.06-M). In fourth to tenth notches are Trinoma (P5.48-M), Glorietta 4 (P4.37-M), Greenbelt 3 (P4.04-M), Power Plant (P3.35-M), Greenhills Promenade (P3.15-M), Alabang Town Center (P3.07-M) and Uptown Place (P3.056-M). Completing the Top 20 are Venice Cineplex (P3.052-M), SM Cebu (P2.94-M), Robinsons Magnolia (P2.92-M), Ayala Malls Cebu (P2.84-M), Shang Cineplex (P2.74-M), SM Aura (P2.63-M), Bonifacio High Street (P2.62-M), U.P. Town Center (P2.586-M), Eastwood (P2.582-M) and SM Southmall (P2.42-M). Internationally, Thor: Ragnarok has topped the box office with $107.6 million in 52% of overseas markets, a week ahead of its U.S. release on Nov. 3.